Hans J. Wegner stresses the importance of freedom of movement and ergonomics in the J16 design. Both the rocking chair and the footstool boast hand-woven seats in natural paper cord. The J16 by Hans J. Wegner is one of his most recognised rocking chairs, a clear result of precise design and engineering typical of the iconic designer. Available in oak or stained black oak and natural or black paper cord. 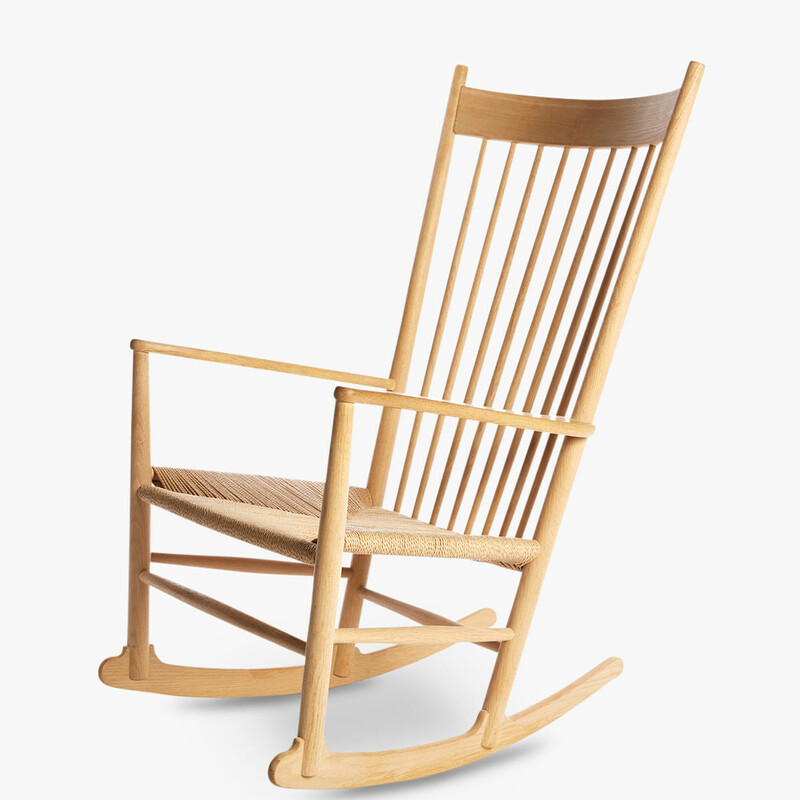 To accompany the rocking chair, Hans J. Wegner designed a footstool, a seat and back cushion as well as a neck support.